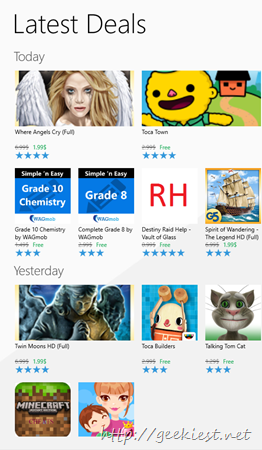 myAppFree is a wonderful application which is available on the Windows Phones, which will bring an application for free everyday. 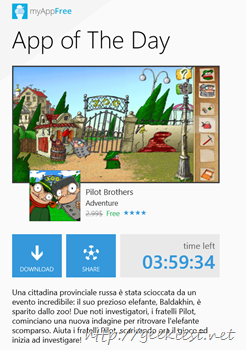 We covered about the application before Get a paid Windows Phone App for free everyday with myAppFree. Now the application is expanding its service to Windows PCs too. 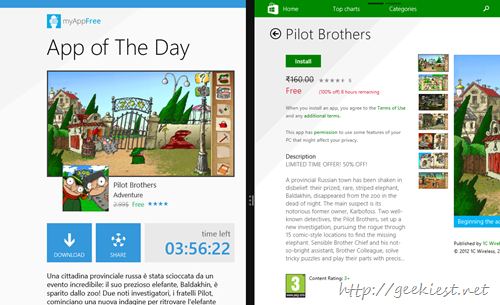 You can get a Windows PC game or Application everyday for free. Just install the application from the Windows Store using this link. After installation when the application starts it will ask permission for running in the background. If you allow the application to run in background it will notify you when ever a new deal is available. The myAppFree application also displays deal available for other applications and games.